Micromax has turned their attention towards college goers and has launched Canvas Mega 4G Q417 keep them in mind. The phone is now available in the market and can be bought from the e-commerce website as well as the offline market. 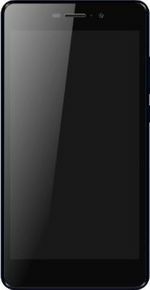 Here' what we feel about Micromax Canvas Mega 4G Q417 price in India, features and specification. This Dual SIM phone is powered 1.3GHz MediaTek MT 6735 SoC coupled with Mali-T720 GPU. For smooth multitasking Canvas Mega 4G get 3gigs of RAM onboard. The 4G enabled phone features a 5.5-inch HD (1280×720 pixels) IPS display which gets to wear a layer of Corning Gorilla Glass 3 to keep scratches at the bay. Canvas Mega 4G comes with 16GB of inbuilt storage, which can be increased up to 32GB by using a microSD card. The phablet also sports a 13-megapixel autofocus snapper with LED flash at the rear side to capture images in different settings. Selfie lovers also get to enjoy images from 5-megapixel selfie camera at the front. In the list of connectivity options, Canvas Mega 4G include dual-SIM card slots, 4G LTE support, Wi-Fi, Bluetooth and GPS. On the software front, it runs on Android 5.1 Lollipop. Mobile hanging continuously and suddenly battery down to 0% after 1 year usage but overall phone is good. Only ram is acceptable Everything is negative.I didn't expect such a bad phone camera from my lovely brand micromax. Front camera is 3rd class. Back is full OK. No volte always have to keep net on ,so pathetic. In all display is good. Ram 3gb, back camera, display, net super high speed, phone looks very stylish. If u are a selfie lover then Dont buy. Touch is not good.CAMERAS both is like 2mega pixel,front camera is 3rd class. Only ram is good and sound is little good. Dont buy this phone.